At the southern end of the Grand Strand, nestled between Georgetown and Murrells Inlet, sits Pawleys Island, a “low-country” island. Access to the island is gained by a bridge at either end of the island. One bridge takes you to the beach and the other to the island area. Besides, being famous for hammocks made by locals, Pawley’s Island is known for its public beach. “Pawleys Point.” Is actually a slim peninsula with the ocean on one side and the semi-salt water of the Waccamaw River on the other . At the end of the peninsula the two bodies of water merge in a stunning natural environment. Hurricane Hugo destroyed a lot of homes near “Pawleys Point” but some of the historic landmarks remain and others have been replaced by extravagantly beautiful beach homes. Historically, the area was the home George Pawley, a wealthy rice grower, for whom the area is named. The island is so rich in history that there are stories of ghostly Civil War soldiers still visiting Pawleys to this day. Beach houses on Pawleys Island vary from small to elegant with prices to match. Pawleys Island has several of the finest gold course and unique communities. 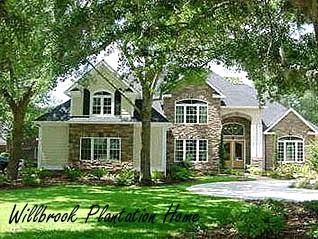 The gated Willbrook Plantation offers privacy with a golf course right outside your back door. Pawleys Plantation and Litchfield Beach are beautifully landscaped private communities with traditional architecture. Pawleys Island also features some incredible condo resorts, such as Crescent at Litchfield Beach, that are reminiscent of the stylish high-end condominiums of South Beach or Boca Raton. Litchfield Beach tries to remain a private area and a few celebrities have vacation homes in this elite section. Let us show you the historic beauty and luxurious homes for sale on Pawleys Island.